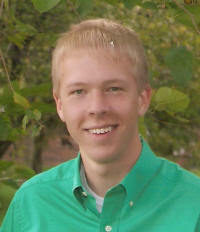 Justin Andrew Melzer, 21, of Trenton, died Monday, September 07, 2009 at his residence. He was born June 22, 1988 in Normal, IL to Rev. Deborah (Morrell) and Ronald C. Melzer; his mother survives in Trenton and his father survives in Tucson, AZ. He was preceded in death by his Paternal Grandmother, LaVonne Melzer. Justin formerly worked at Lite Brite in Trenton and was currently an EMT with Sugar Creek Ambulance Service in Trenton and was studying to become a Paramedic at SWIC. He was a member of the First United Methodist Church in Trenton where he was the lead guitarist in the Crossroads Praise Band.